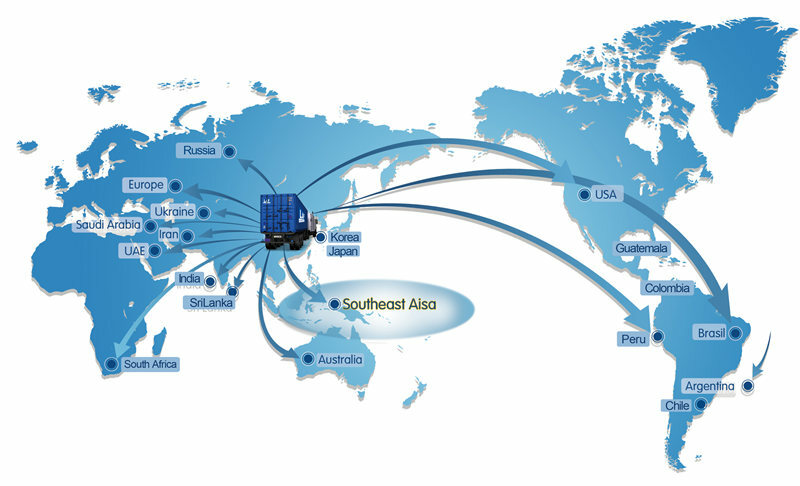 Global Logistics Service Network: LAF has established global service network covering over 30 countries and 50 base ports, including Southeast Asia, East Asia, Middle East, Russia, Australia, South America, North America, Ukraine, South Korea, India and Europe, etc., providing 24-hour efficient guidance, after-sales service and emergency response system. Domestic Logistics Service: LAF has established branch company in Nanjing, its own agent in northeast region, branch office in Guangxi, Guangdong, Zhejiang, Shanghai and the network covers Xinjiang, Guangzhou, Shaanxi, Henan, Hebei, Tianjin, etc. which can ensure us to provide timely and efficient 24 hours tracking service and prompt feedback like before & after sales service, emergency response, etc.